Widespread flowering plant dandelion may have liver-protective effects, but clinical research is lacking. Antioxidant effects. Antioxidant compounds in dandelion protect the liver from oxidative stress involved in liver disorders and injury. Anti-inflammatory effects. Dandelion also contains anti-inflammatory compounds that decrease the inflammation involved in liver damage. The dandelion (Taraxacum officinale) is one of the most widespread flowering plants in the world, recognized for its yellow flowers and “blowballs” that disperse in the wind. 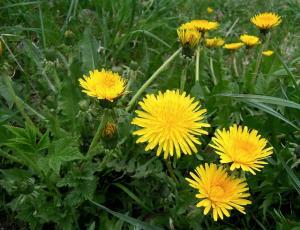 Although considered a weed by most people, dandelions are also used as a food source. In fact, dandelion contains a number of nutrients, such as vitamins A, B, C, and D, and are sometimes used in salads and teas. In addition, dandelion roots can be used as a substitute for coffee, while the flowers are used to make wine. More importantly, dandelion also has a long history of use as a medicinal herb, particularly as a diuretic and for helping with stomach, kidney, and liver problems. Today, supplements made from dandelion leaves, roots, and the whole plant continue to be popular as a liver health “tonic.” Despite this, there are no human studies on dandelion’s liver effects. Did you know? Dandelion leaves also contain the carotenoid compound lutein. Oxidative stress caused by free radicals is known to play a critical role in liver disorders and injuries.1 Multiple studies have shown that dandelion extract has potent antioxidant activity that can help neutralize this oxidative stress. 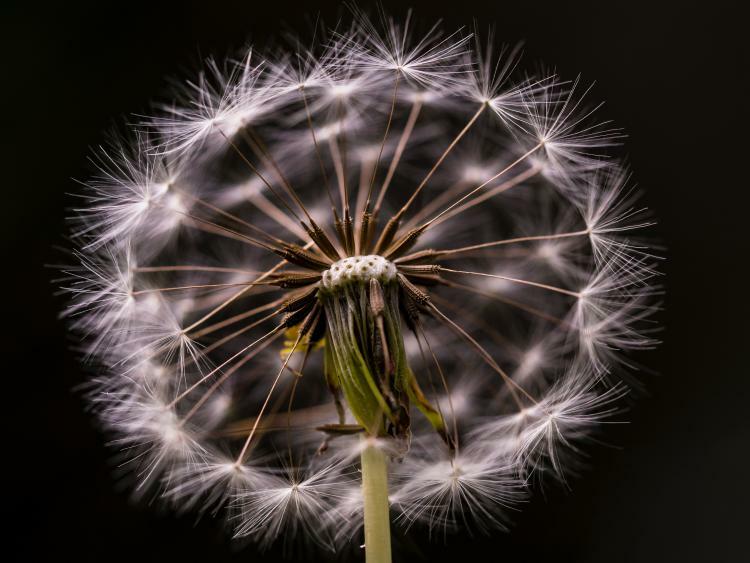 2 In addition, compounds in dandelion can also protect against reactive nitrogen species (RNS) – a related type of molecule that also causes damage to cells. Did you know? Dandelion also appears to increase bile production in the liver, but it’s unclear whether this effect has any benefits for liver health. Some people take dandelion supplements to protect against fatty liver, hepatitis, and support overall liver health. It is also frequently combined with other liver-supportive herbs such as milk thistle. Animal studies support dandelion’s liver-protective effects, with evidence of reduced liver enzyme levels, and protection against alcoholic and nonalcoholic liver conditions, and fibrosis and nonalcoholic steatohepatitis in particular. However, there are currently no human studies of dandelion for liver concerns. As such, clinical research is needed to confirm the benefits seen in animal experiments. In addition, like most herbal liver remedies, dandelion is advertised as a way to “cleanse” or “detox” the liver. It is important to keep in mind that these are marketing terms without clinical backing. Animal studies of dandelion suggest that it protects the liver from alcoholic and nonalcoholic damage, including fibrosis and nonalcoholic steatohepatitis. This animal study examined the hepatoprotective (liver-protective) effects of two compounds isolated from dandelion roots – DRP1 and DRP2. The researchers administered the compounds to mice with acetaminophen-induced liver injury, demonstrating protection against oxidative liver damage. This two-part study examined the use of dandelion extract for alcoholic liver damage. In the first part, the researchers applied dandelion extract to isolated liver cells that had increased oxidative stress. The extract protected the cells from damage. In the second part, mice were given dandelion extract (1 g/kg body weight) daily while consuming alcohol. The extract prevented alcohol-induced liver toxicity and damage, demonstrated by reduced levels of liver enzymes, which remained elevated in the alcohol-only group. In addition, the extract-treated mice also had higher levels of liver antioxidant activity. This animal study examined the protective effects of dandelion root extract in liver fibrosis. Mice were treated with carbon tetrachloride (CCl4) to induce liver fibrosis. Next, they were given dandelion extract (200 or 600 mg/kg of body weight) daily for 10 days. Compared to the untreated group, the dandelion group experienced reduction in fibrosis, which was accompanied by reduced oxidative stress. This animal study examined the effects of dandelion on acetaminophen (APAP)-induced liver toxicity. Rats given dandelion leaf extract were protected from liver damage, as demonstrated by normalization of increased levels of liver enzymes and reduction of oxidative stress. This animal study examined the effects of dandelion leaf extract (EDL) on nonalcoholic steatohepatitis (NASH). Mice with NASH were given a diet with or without EDL (200 or 500 mg/kg body weight daily) for 4 weeks. The EDL diet improved the severity of NASH, marked by increased levels of the antioxidant glutathione, decreased levels of liver enzymes, triglycerides, oxidative stress, and pro-inflammatory cytokines TNF-α and IL-6. Most dandelion preparations use the plant’s root, and less commonly the leaves. Dandelion tea. Dried dandelion root used to brew tea. Dandelion powder. The most common form of dandelion in supplements, which is sold in capsules and usually made from the roots or leaves. Dandelion extract. Some products contain dandelion in a concentrated extract form (e.g. 4:1). Dandelion fluid extract. A fluid extract made from dandelion root, leaf, or whole plant. Dandelion root or leaf, 1200-2000 mg daily for liver health. 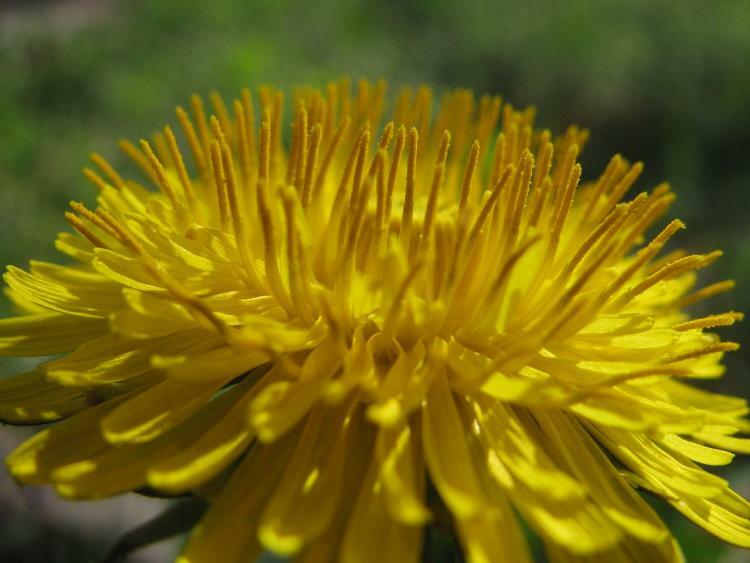 Dandelion may have liver-protective effects. Although human research is sorely needed, current evidence suggests that dandelion can protect the liver from common concerns such as fatty liver, alcohol damage, and nonalcoholic steatohepatitis. There isn’t enough research to recommend a dosage. Given the lack of human research, it’s best to follow supplement recommended-dosages.